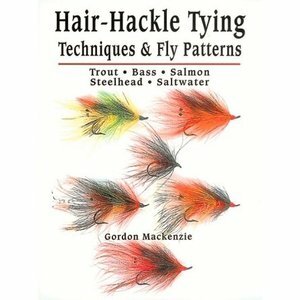 Book-Hair Hackle Techniques & Fly Tying by Gordon MacKenzie, Create durable, effective, and attractive flies with the information in this book. 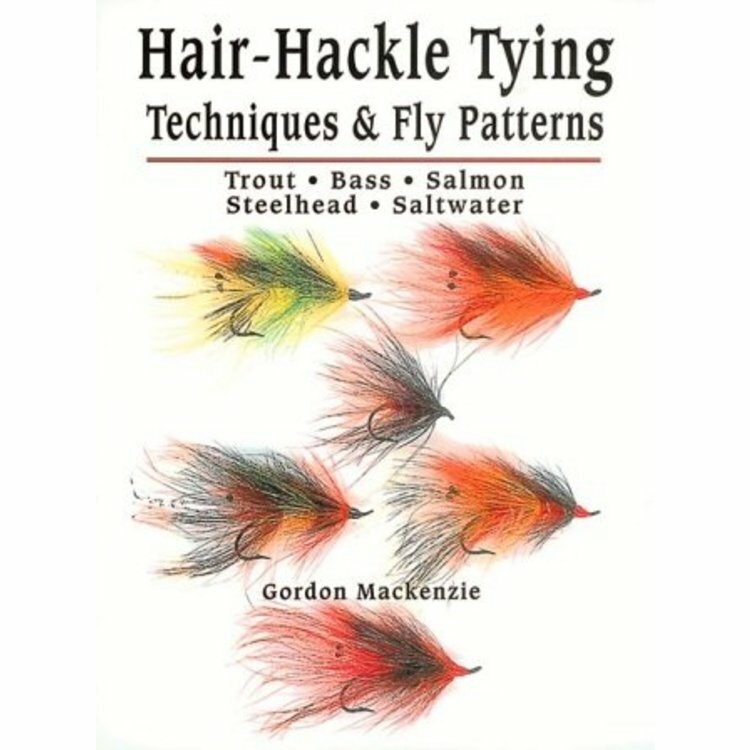 Book-Hair Hackle Techniques & Fly Tying by Gordon MacKenzie, Create durable, effective, and attractive flies with the information in this book. 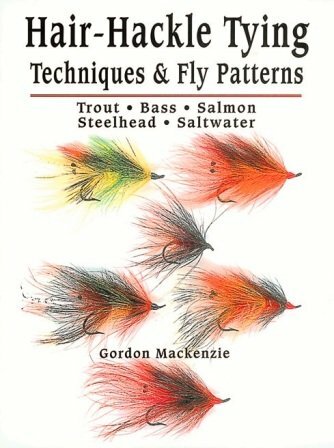 With clear, concise text and easy to understand, step-by-step illustrations, Mackenzie shows you how to easily incorporate hair hackles to create resilient, live-looking flies that will last longer, look alive and striking, and produce excellent angling. Hair hackles can be used in your trout, steelhead, salmon, bass, and saltwater fly patterns. You will be very pleased with the look of the finished flies and how the hair increases the breathability and lifelike movement in the water. These tying techniques are applicable to thousand of fly patterns! Spiral Hardcover edition 8 1/2 x 11 Inches, 88 Pages, All Color.